Running a business comes with several legal hurdles; no matter your industry or field. Let the Law Offices of Leonard Komen, P.C. assist you in navigating those obstacles with commercial representation in Chesterfield, MO, so you can run your business as effectively as possible. You should concentrate on what makes your business profitable and let your attorney and accountant take your legal and accounting issues off your plate. 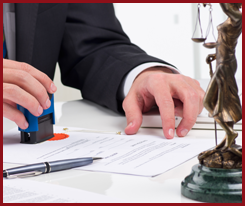 Our commercial lawyer serves the metropolitan St. Louis, MO area and surrounding counties. Contact us for more information. Using the court system, like surgery, should be a last resort. You need to be educated on the costs and delays of litigation before you decide that has to be your remedy. If your business gets involved in litigation with another business, your first goal is to optimize the cost of legal services and resolve the litigation in the most cost efficient means you can go on with business life as you know it. I have spent years navigating the back hallways of the courthouse to get my clients into and out of those buildings as cost efficiently as possible. So you paid a firm to obtain a judgment against a reluctant debtor but have made no progress collecting that judgment except even more hourly fees? I have developed a systematic means of collecting judgments and discovery of assets to help. If you were not paid in the first place, then after the judgment you will appreciate that 100% collection is not a reality. But I have the resources to locate assets and compel the production of evidence that often leads to a better return on your Judgment - charging orders, attachments, depositions of the debtor's own business relationships and in some cases the appointment of a Receiver to take over their business affairs.